On a recent “artist date” I discovered this delightful little text at a quaint independent bookshop in Lawrence, Kansas. Of course the title caught my eye, but a quick flip through the pages convinced me to review it more closely. Once I returned home, I immediately requested a copy from my local library. I am no artist, but I do harbor dreams of sitting in a local coffee shop or on a park bench and sketching a few observations. Technically this book should help me fulfill that desire. 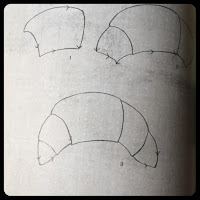 Each sketch is shown in simple step-by-step instructions. None of the drawings are terribly complex, but each subject is very French and quite a good likeness. It certainly seems easy enough…. 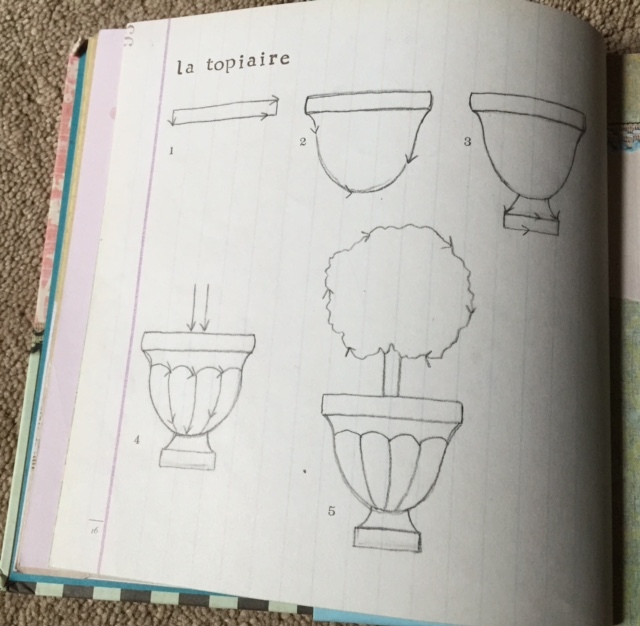 Just follow the directions, pay attention to scale, and voila … a perfect sketch of a fond French memory. Well, that’s the idea in theory…. In reality, however, my croissant looks like a sickly snail. 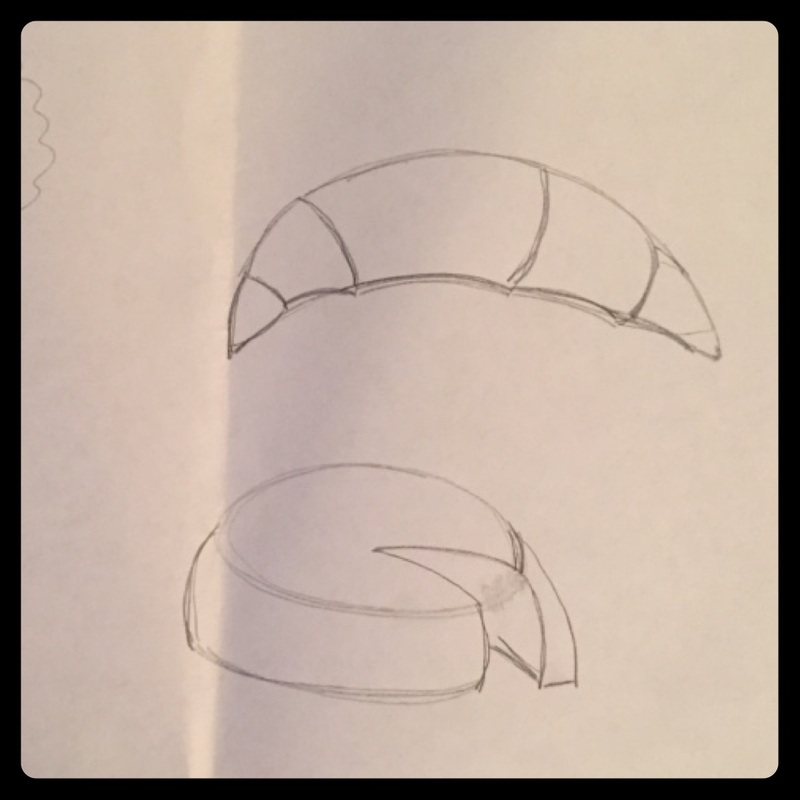 And my cheese wheel? …well, who knows. I must admit my expectations were terribly unrealistic. I thought a few simple lines was, well… simple. 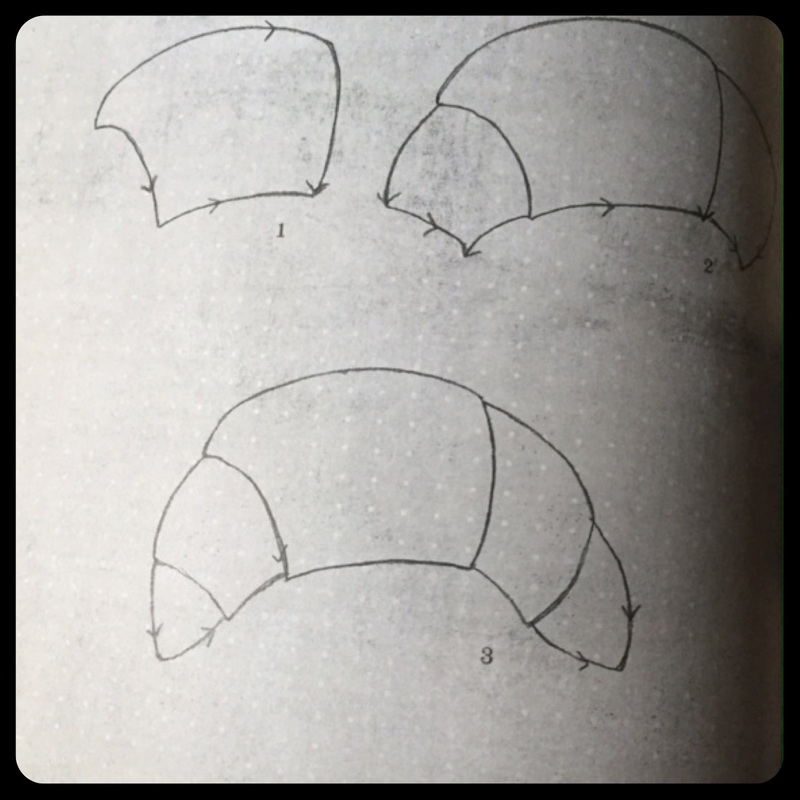 A curve here, a triangle there, and in 60 seconds I’d have a sketch of a delectable morsel. But as in any artistic endeavor, the process is far more complex than it seems. It takes time, patience, and practice to develop a new skill, and I was not willing to slow down enough to give it a fair chance. For now I have decided to devote my time to writing. But someday I plan to purchase this book and j’essayerai encore une fois. 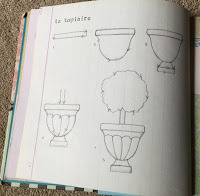 ** For other Paris in July posts, please visit Tamara’s website, Thyme for Tea. That looks like a fun book. I think your attempts are great! But you're right, it is a fun book! 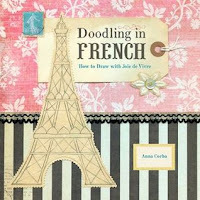 I have just noticed these doodling books in bookshops I am quite tempted to give them a try, they look like fun. 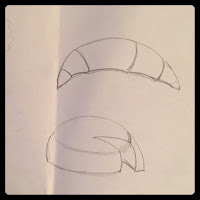 You are too hard on yourself…Your croissant and your cheese wheel are magnifique! What a fun book! I think you did a great job. And I know what you mean – sitting on a bench sketching has always seemed like something I would like to do. Of course, my drawing skills are nil. My best friend in college would sketch trees, and that seemed to make her happy. I suppose as long as you are doing it, its fun. C'est tres mignon! Very cute. I'm liking your doodles! You've also introduced a whole new category to Paris in July – doodling. Oh Deb… you are so encouraging! Perhaps I will try doodling a bit this summer. Your attempt looks great! I am not able to put two lines together in a nice way. However, I have some sort of ambition to do a journal and maybe this book will help me to attache a few drawing lines to my tickets or whatever I want to highlight. I will look for it. Bonjour!!! This is truly delightful -I am going to look for it not that I can draw anything. The store owner encouraged me to take photos. The French are interesting that way-some love it while others despise it. I can understand why-there are tourists that are just inconsiderate. I find asking is the best approach. However I speak French so that also makes it easier for me to communicate. Once I asked a little boy if I could take his photo-he was young teen-he said yes but do not post it on the net. That was simple enough. This sounds delightful. I can't draw at all, but I always love to try. I succumbed to a colouring book, Tomislav Tomic's A Walk Through Paris, and it's so lovely I'm scared to start colouring in case I spoil it!